Will legislators be able to negotiate a budget deal before their midnight deadline? Congressional lawmakers say they're about 70 percent of the way there, but if they don't come together and the government effectively shuts down, Chicago could feel the pinch come Monday. About 75,000 federal employees work in the Chicago area, and many of them would be sent home without pay. That means the Social Security Administration, Environmental Protection Agency, Internal Revenue service, State Department and National Park Service would temporarily close. 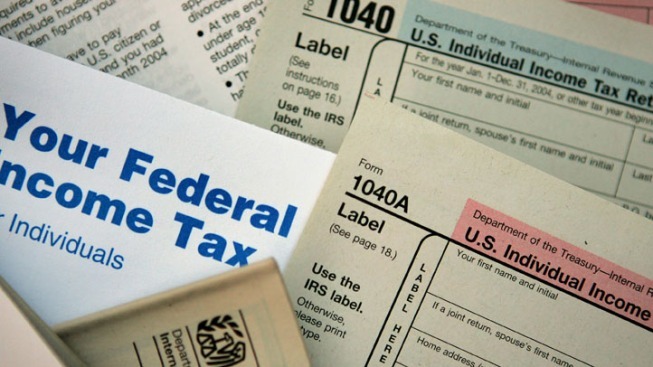 Residents will still get mail and the federal court system will remain open thanks to filing fees they collected, but the IRS might need to suspend processing for paper-filed tax returns. Government employees explain the impact a shutdown of the federal government would have on the state of Illinois and its citizens during a protest in downtown Chicago. The Federal Housing Authority also might not be able to guarantee new home loans, and the Small Business Administration couldn't approve business loans. Passports wouldn't be issued, and unemployment benefits could be delayed. 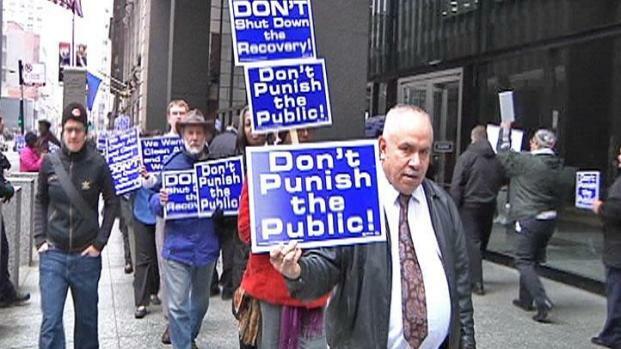 Local federal employees at a protest in Chicago's Federal Plaza on Thursday warned that a shutdown of the federal government would have a "rolling effect" on Illinois and its citizens. But Gov. Pat Quinn remained confident that a looming shutdown would be averted. "I'm confident that President Obama will -- hopefully -- get the members of the Congress, in the House, to understand how important it is to have our federal government at full tilt," Quinn said Thursday during a press event to announce a major construction project. Still, he said the state has to be prepared for the possibility.